Since 2008, at Fallout 3‘s release, the newest generation of gamers have begun to wander the terrifying and glorious ruins of post-nuclear war America. Many of those fans know of modern themes and locations such as Fallout 3‘s Megaton or New Vegas’s ever popular “Strip”; but Pro-Nerd wanted to take a moment of your time to go back in time and remember locations such as The Hub and the hopelessness of the Brotherhood of Steel trying to carve its path in the bombed out ruins of Northwest Indiana. Follow us as we relive each of the classic games that inspired the modern companies to revisit the Wasteland Wanderers and Vault Dwellers that we’ve come to love today. 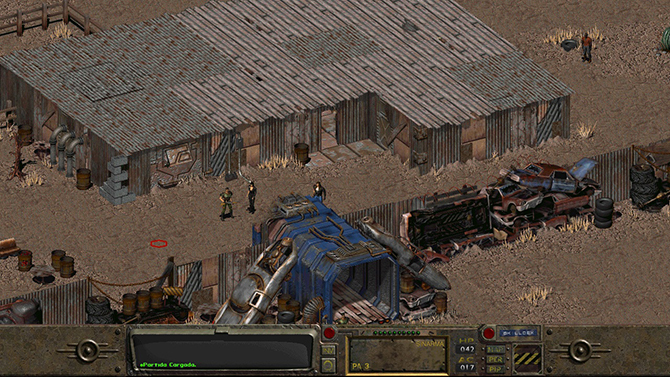 Fallout, the original game for the personal computer, was one of the games that shaped the industry. The most terrifying of any of the games, in my opinion, as it set our young Vault Dweller in post apocalyptica for the first time. The Vault Dweller from Vault 13—the unluckiest Vault in the Wasteland—was sent out to find a water chip, the computer chip that regulated clean water entering the Vault. The Vault Dweller enters the Wasteland to find that his Vault isn’t the only place that is in need of assistance and goes on to either help or leave the poor people to their own devices. He gambles, fights bandits, radscorpions and ghouls, and eventually he comes across the next evolution of humanity, the Super Mutants. Our hero finds his water chip and eventually saves his vault but the Super Mutants are butchering humans across the countryside and most be stopped. The Vault Dweller goes out to meet them and eventually becomes the savior of the Wasteland by destroying the Super Mutant threat. The best part about the game that isn’t featured in modern games is the very real idea that you can fail. There are points in your adventure where you will save not knowing anything bad is about to happen, and you will run into situations that you cannot escape from. Anyone who ever delved into the deep darkness of The Glow in the southern part of the map found themselves dying of radiation poisoning very quickly. Oftentimes people had saved upon going down there, only to not see the dialogue message of extreme radiation poisoning. They would find no water chip in the bombed out ruins of that old vault and then try to walk back to The Hub just to die en route, not having another save to go back to. It was a really helpless feeling and added to how terrifying a trip into the Wasteland can be. Between the Super Mutant threat and your own kind wanting to butcher you, it quickly became known as one of the most difficult games to ever play. It also later became known as one of the most broken (or easy to beat) games ever. Once people had beaten it, speed runners like myself came onto the scene. Maximizing certain stats on your character at the beginning of the game allowed you to go straight to the Super Mutant base of operations and end the threat before it even began. My personal record is seventeen minutes. Fallout was the beginning of a gaming franchise that would become legendary. 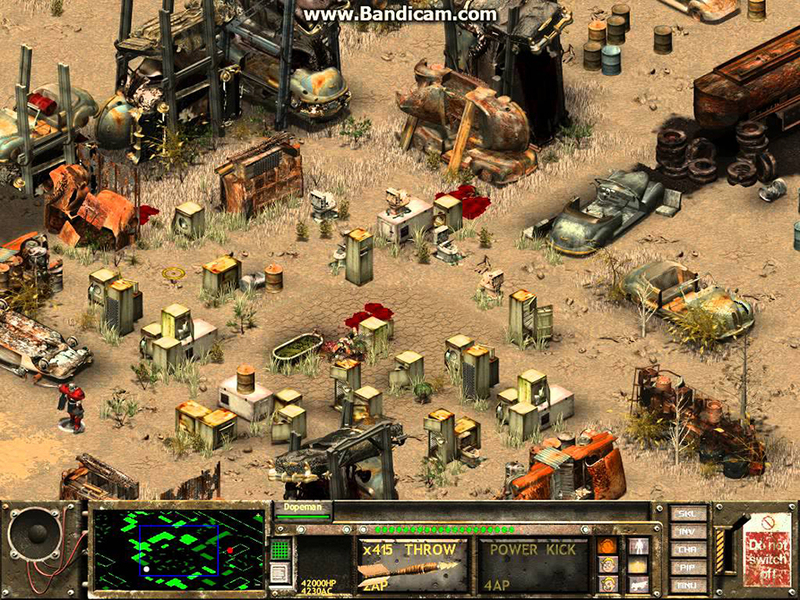 Now, we move onto Fallout 2 and the legacy of the original Vault Dweller has not waned. At the end of the original Fallout the Vault Dweller was not allowed to return to his Vault after finding the water chip. The Overseer of the Vault exiled him due to prolonged exposure to the outside world. Upon being exiled the Vault Dweller and some dedicated companions traveled north into what we know today as Oregan. The group founded a tribal village by the name of Arroyo and after writing his memoirs the famous Vault Dweller just up and vanished. Flash forward a few years and we have made it to the setting for our game. It is 2241 and the village of Arroyo has suffered the worst drought in new recorded history. Things were beginning to look grim and the lack of clean water was truly beginning to affect not only the crops, but the morale of the tribe. Luckily, before the Vault Dweller disappeared his heroic lineage passed on to our new main protagonist, The Chosen One. The Chosen One was charged with the task of retrieving the G.E.C.K., otherwise known as the Garden of Eden Creation Kit to once again solve the water issue. The G.E.C.K. has the power to create a thriving community in the post-apocalyptic wasteland. Strapping on his trusty jumpsuit and Pip-boy 2000 handheld device, he sets off. Our hero eventually comes across Vault 13, the abandoned Vault that contains the G.E.C.K.. Happy with his find he returns home to Arroyo triumphantly only to find that it has been captured by a group that some will remember from Fallout 3: The Enclave. The Chosen One, not being the type to give up without a good fight, finds an ancient piece of pre-bomb technology to help him reach his tribe. An oil tanker with built-in auto-pilot that will take him to The Enclave’s main base of operations which is a re-purposed offshore oil rig. It is at this point that The Enclave is revealed as the remnants of the old United States Government and has a very nefarious plot in store for the Wasteland. Using the captured tribesmen of Arroyo and people captured from Vault 13, The Enclave seeks to rid the Wasteland of mutants with the Forced Evolutionary Virus or FEV. The FEV was modified into an airborne virus by The Enclave and was designed to attack any living creatures with mutated DNA. With all genetic impurities removed, The Enclave could easily retake the Wasteland and reestablish the glory days of the United States. Not particularly keen on the idea of his friends being used as a genocidal tool, the Chosen One rips The Enclave apart one man at a time until he eventually saves the tribesmen of Arroyo and the Vault Dwellers of Vault 13. The end game is among the happiest of any Fallout game as the Vault 13 dwellers and the tribesmen of Arroyo create a brand new community and use the G.E.C.K. to conquer the Wasteland together. We now move onto the godfather of all tactical video games: Fallout Tactics: Brotherhood of Steel. In the years leading up to when the bombs fell, a network of Vaults were created to house the best and brightest of humanity. Before these Vaults could be fully established, nuclear war broke out and the dream of a better tomorrow in the Wasteland was trashed by humanity. A unit of military men were forced to take shelter in a scientific installation as the bombs fell. Finding that the scientists were doing unethical experiments on human beings the men of honor put an end to it, and bunkered down for generations until it was safe to emerge above ground. Upon returning to the surface, the highly trained sons of those brilliant military minds—armed with plenty of pre-war equipment—easily made a home for themselves in the Wasteland. Ridding the state of California of raiders and bringing tribal wars to a halt was an easily accomplished task by the newly formed Brotherhood of Steel. Attrition rates were still an issue however, despite their wealth of pre-war tools and knowledge. Some of the Brotherhood wanted to allow local tribesmen into their ranks while the majority wanted to keep the Brotherhood pure. It was decided that those who wanted to expand the ranks of the Brotherhood would be sent to deal with the Super Mutant threat to the East. They traveled by airship from California but as they passed over the Midwest the group was hit by a massive storm that killed the leaders of the group and forced the rest to land near the ruins of Chicago. Thus, the new Brotherhood of Steel was born; and the first Fallout title where you get to make choices that would affect the outcome of the game has begun. The Brotherhood Recruit—the main protagonist for this title—is the proud offspring of a Chicagoland village, but that is stripped from him very quickly. He is trained in the ways of the brotherhood and he and his squad of men would reshape the Midwest as we know it. The Brotherhood squad would begin a campaign against raiders, beastlords (men who telepathically control beasts), Super Mutants, and even a large force of killer robots. Along the way, choices that the Recruit makes would gain the Brotherhood allies or keep it purely human as the original Brotherhood of Steel intended. If the recruit chose to help others he would gain allies that were Super Mutants, ghouls, and even the ever-terrifying Deathclaws. After carving a bloody swath of conquest throughout the post-apocalyptic American Midwest, the Recruit and his ragtag squad of men would eventually destroy the Super Mutant threat from the east just to find that another threat loomed in the west. An army of robots were defending an old goal of the New Brotherhood’s Vault 0, the central command point for the aforementioned string of Vaults that would house the best and brightest of the old world. These robots were butchering Super Mutants, humans, ghouls, and Deathclaws alike and with his new allies the Recruit would face them head on. On the slopes of The Cheyenne Mountain, The Recruit (now a Brother) would fight the robot threat and bring a nuclear warhead to the door of Vault 0. After detonating it two squads entered the Vault to eliminate the threat once and for all and secure Vault 0 for the Brotherhood of Steel. After fighting his way through the Vault he comes to the room that houses The Calculator a pre-war science project that took the brains of the best and brightest of humanity and stored them in a computer that would have dictated the course of the Vaults. However, the Calculator is in disrepair and in need of a new brain to control it. The protagonist has a choice now. He can donate his own brain to The Calculator, destroy The Calculator, or have an old general of the Brotherhood of Steel sacrifice himself for The Calculator in his stead. If you made ethical choices and donate your brain you bring a new age of peace and prosperity to the Wasteland where all races and sentient creatures are treated equally. If you made unethical choices you outlaw the discrimination of mutated species, but quietly have the elders of the New Brotherhood of Steel assassinated and plan the same for the Western branch. If you choose to destroy The Calculator, the Brotherhood of Steel triumphs and is able to conquer the Midwest, just a lot slower than if your brain had been donated. If you let General Barnaky sacrifice himself, he will bring about a triumphant Brotherhood, but commit genocide against mutated populations across the midwest. Each choice will grant the brotherhood prosperity, but in its own different way. 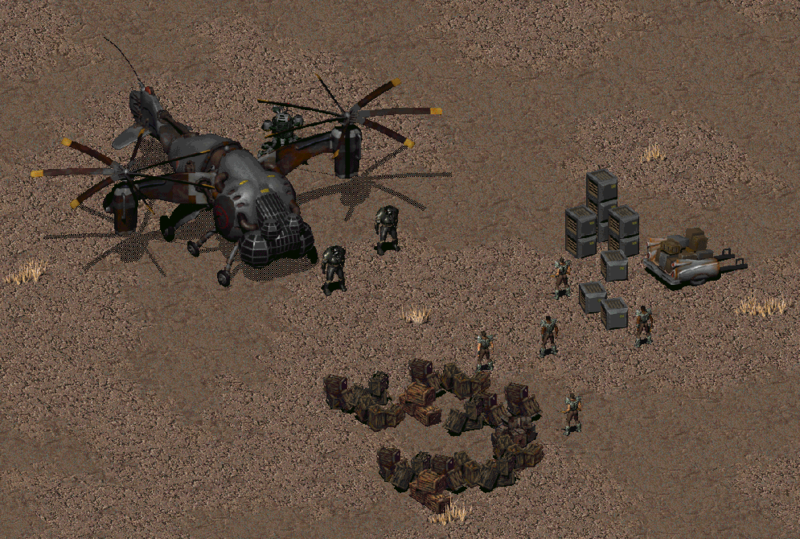 If you haven’t played Fallout Tactics yet I highly recommend it, if nothing else than for the story.